Monday – the FRESH MILK XIX public event. Tuesday – the final Quid Pro Quo session hosted by Torika. Wednesday – the presentation for participants in a UNESCO Workshop. Yup, clearly the final week of this residency was eventful, hectic, yet enjoyable. These events allowed for an expansion in my network, an interchange of thoughts and ideas, and collaborations with a fellow artist. During the in-between moments I decided to peruse the text Caribbean: Art at the Crossroads of the World. 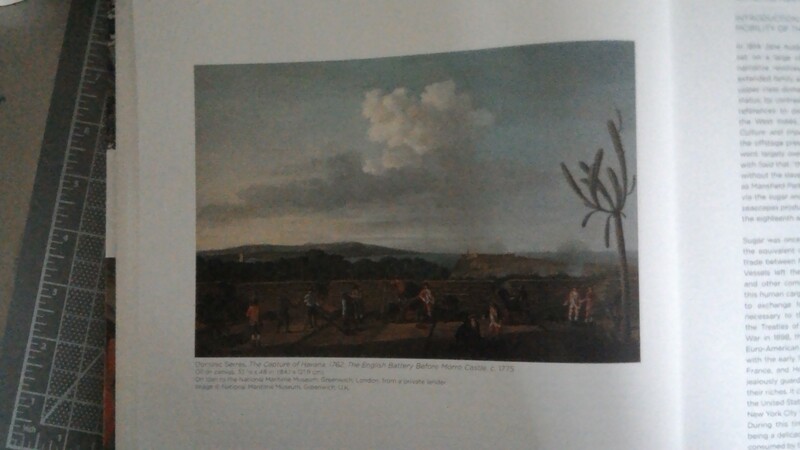 Within this comprehensive book I stumbled across a work by Dominic Serres entitled The Capture of Havana, 1762. The English Battery Before Morro Castle, c. 1775. This painting pays homage to the epic battle between Spain and Britain towards the end of the Seven Years’ War. In fact this was the last major episode of the Seven Years’ War, which so happened to be meted out in Caribbean waters and involved the capture of Havana. The Islands as a battleground. The site of Euro-American conflicts and ambitions. Colonialism and territoriality. Continually I am amazed at the fact that global contemporary issues involving borders, territory and migration are concerns that have affected the Caribbean for centuries, indelibly shaping the region’s identity. 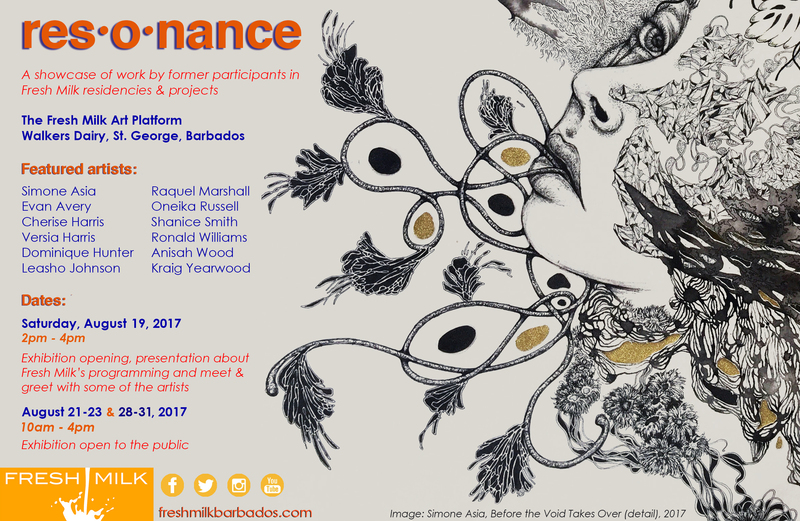 So then what are the effects of these events on the contemporary Caribbean? And how can this territorial history and the current manifestation of this history and concerns within the region add to the global debate regarding borders? On a lighter note, I crocheted a small bag as a parting gift to the Bolatagici family. I also got a chance to observe Renelde take charge as she directed the actors for the play she had taken on board for her residency. It was actually quite riveting to observe the methods of production within another artistic field. I also commenced on a small project in response to the thoughts I have been reading, and enjoyed small eats with fellow Quid Pro Quo participants. Now My Time at Fresh Milk as a resident is up. It is a bitter sweet moment knowing that those who were residents with me, along with those who willingly volunteered to be part of the Quid Pro Quo programme, will be parting ways. But how wonderful it was to have been able to make the acquaintance of such interesting and passionate people. And as I pack my Georgie bundle and contemplate on my time spent here, I feel satisfied and grateful for this experience. Now it’s time for my next step towards the deep end of the art world. Thank you to the Fresh Milk team, Torika Bolatagici and her family, Sheena Weekes, Akhaji Zakiya, all those who came out and supported the FRESH MILK XIX public event, and all others who consistently demonstrated their support during my time at Fresh Milk. Week 3 flew by leaving only fragments for contemplation. Much of these scattered pieces revolved around the possibilities for my next step. It could be that it finally dawned upon me that I have only one week remaining in this residency, or maybe it was the looming deadline to apply for a teaching position. But then again, do I really want to teach within the governmental system? Furthermore, how will I balance a productive artistic career while working any 9-5 job? Or will my young artistic career fall onto the back-burner and be reduced to a thing of the past? Nah, I don’t think so. I’m determined to continue. And if I don’t, I humbly ask you, reader, to kindly remind me of this testimonial. Moreover Akhaji provided some timely suggestions during her Quid Pro Quo session. She kindly gave us the opportunity to list our concerns and potential challenges and provided ways in which these can be countered. It was definitely the encouragement that I needed to go forth and conquer. I also received further encouragement observing Renelde, a recent addition to the residents, take on the 2 week Emerging Directors Residency. It was so great being able to converse with someone within another aspect of the artistic sector and to observe their process. Now I’m about to enter my final week. I can already tell its going to be hectic with a public presentation in addition to the final Quid Pro Quo experience back to back. Nevertheless I will savor these last days at Fresh Milk.